The University launched a new online diversity training Thursday hosted on the site Everfi. A few minutes later, students watch another video showing student actors playing out possible real-life scenarios, like a friend debating whether they should leave GW because they do not feel welcome based on their race or socioeconomic background. The video pauses, and students are asked a question: What would you do if you were in this situation? The module is part of the University’s first-ever digital diversity training, which will be required for the Class of 2022 and all future incoming students. The roughly half-hour training, first promised after a racist Snapchat incident last year, was one of two diversity initiatives officials announced Thursday afternoon. Administrators said the training will allow students to think through complex social issues and test their reactions to hypothetical situations that could become a reality on campus. The module also includes a glossary of terms like ageism and discrimination for students to explore. “They’re able to think through decision-making as it relates to identity, diversity, equity, inclusion – these concepts come to life in really unique ways,” Jordan West, the diversity and inclusion education director, said. The training is hosted on the website Everfi, which generates educational training modules. Officials also use Everfi to host mandatory online sexual assault prevention training for incoming students. West said a team of about four officials created a committee last summer to map out the training. Freshmen will be required to participate in the training before registering for fall classes in April, and incoming students will complete the course over the summer, she said. “If you’re going to be a first-year student, this is something that we find to be important, this is something that won’t be unclear, this is something we’re committed to,” West said. She said officials will evaluate the success of the training with a survey gathering feedback on the timing and the effectiveness of the modules. 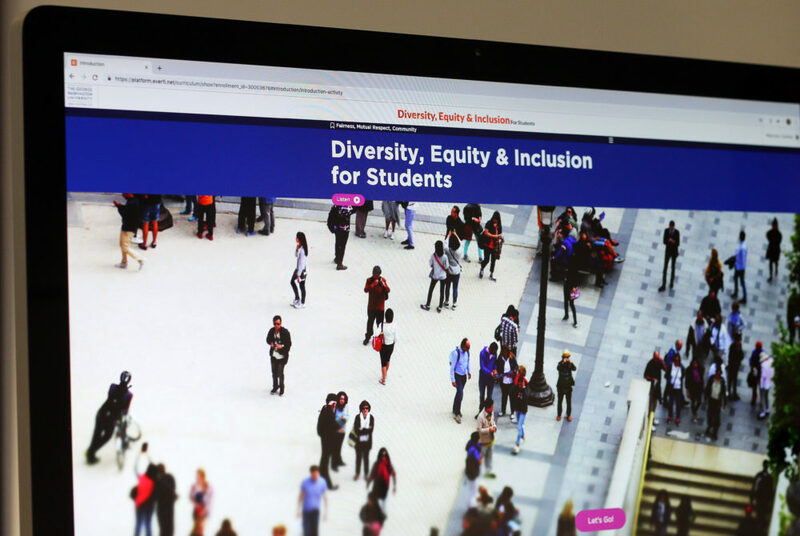 On top of the online diversity training, officials also announced the debut of an anonymous bias incident reporting system Thursday, giving students an opportunity to submit reports of hate crimes or incidents of discrimination. The initiative was also announced after the racist Snapchat post last year. West said officials will respond to a report within 48 hours of its submission with information about resources or next steps to address the issue. Caroline Laguerre-Brown, the senior vice provost of diversity, equity and inclusion, said students could submit reports in the case of a bias-related situation, a hate crime or a discriminatory incident. The team of officials will primarily handle student reports, but the website will include a list of resources and referrals if staff or professors want to file a complaint. Laguerre-Brown said multiple officials from the Office of Diversity, Equity and Community Engagement and Office of Enrollment and the Student Experience will oversee the submissions. “We try to think about the people who have roles that touch on the day-to-day lives of students who would be the natural people we bring to the table if we get a certain set of circumstances,” she said.